Click Here For TOBACCO and find your favorite brand and flavor. The Premier family of products includes some of the finest tobacco and roll your own tobacco accessories in the market today. 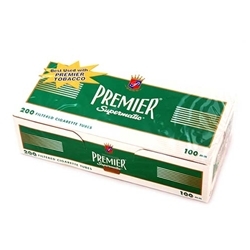 From high quality tobacco and filtered tubes to high performance table top and hand held machines, there's a Premier product to satisfy virtually every taste, preference and price point.